Turkish judicial authorities on Monday arrested a senior PKK/KCK figure suspected of negotiating between the terrorist group and the United States and Israel while conducting propaganda operations on behalf of the group. Davut Baghestani was arrested following an investigation conducted by the Chief Public Prosecutor's Office in Turkey's southern Mersin province, after he was captured by Turkish security forces in southern Adana province on Feb. 2. Baghestani is connected to the so-called executive council of the Kurdistan Communities Union (KCK), which serves as an umbrella body of the PKK terrorist group and its Syrian and Iranian offshoots Democratic Union Party (PYD) and Kurdistan Free Life Party (PJAK), in addition to various armed, youth and women's organizations. 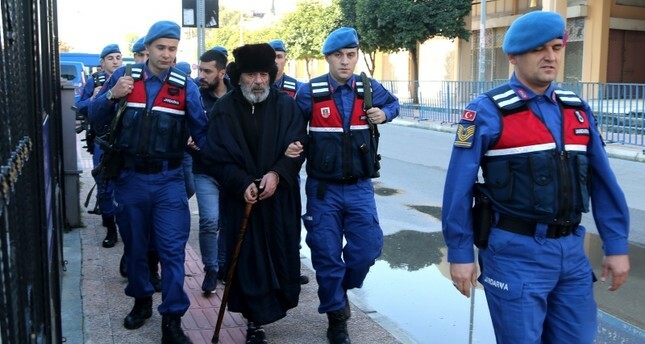 Baghestani was using a fake ID under the name "Canbulut Turgay" and was carrying out activities on behalf of the terrorist group in Adana and Mersin provinces at the time of his capture. Three other suspects detained with him were released on the condition of forensic control.